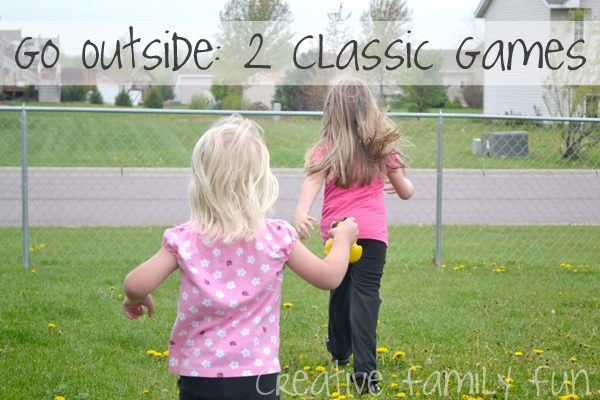 It’s usually not too difficult to find something to do outside, but sometimes it’s fun to play a few organized games. I’d like to reintroduce you to a couple of classic games you probably played while you were a kid. Red Light, Green Light and Mother May I? are both easy games and suitable for all kids, both young and old. Neither requires any equipment besides room to run and a few willing participants. 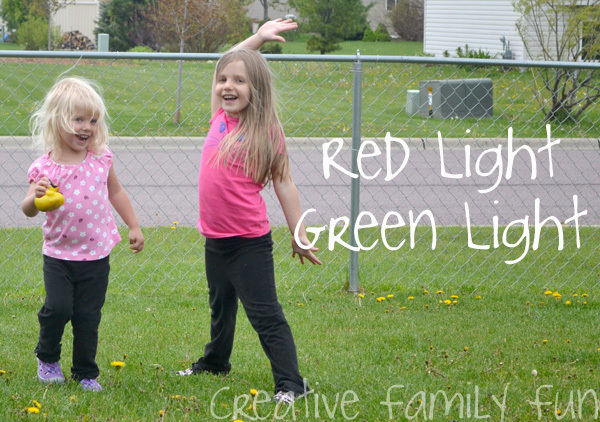 Red Light, Green Light is perhaps one of the easiest games to play. 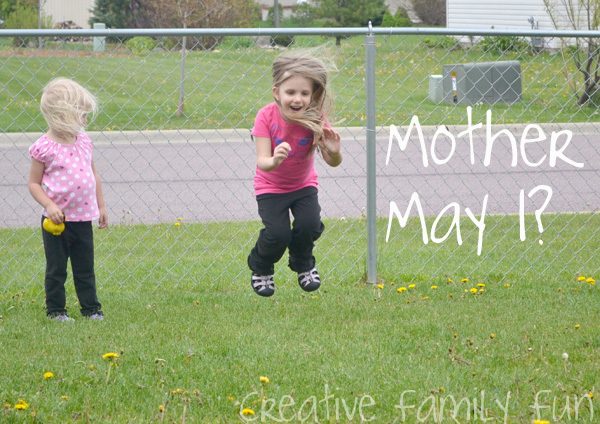 It promotes listening and following directions while allowing lots of active play! You will need one person at the finish line and the rest of the participants will line up a distance away facing the finish line. When you hear “green light,” everyone moves as fast as they can toward the finish line. When you hear “red light,” everyone must stop immediately. Anyone that doesn’t stop when they hear “red light” must go back to the start. The first person to reach the finish line wins! I loved playing Mother May I? as a kid and was excited to teach the girls how to play. This one is slightly more difficult, but still suitable for young children. One person needs to be at the finish line; that person is “Mother.” The rest of the players need to line up at a starting point. The participant then has to ask, “Mother may I” and Mother answers, “Yes, you can.” The participant can then move according to the directions. If anyone forgets to ask “Mother may I?” before moving, they have to go back to the start! The first person to the finish line wins. We had a lot of fun playing these games and I hope we play many more times. What is your favorite outdoor game from your childhood? *Note: Yes AJ did play the entire time with a rubber ducky in her hand! I guess she thought he wanted to play too!